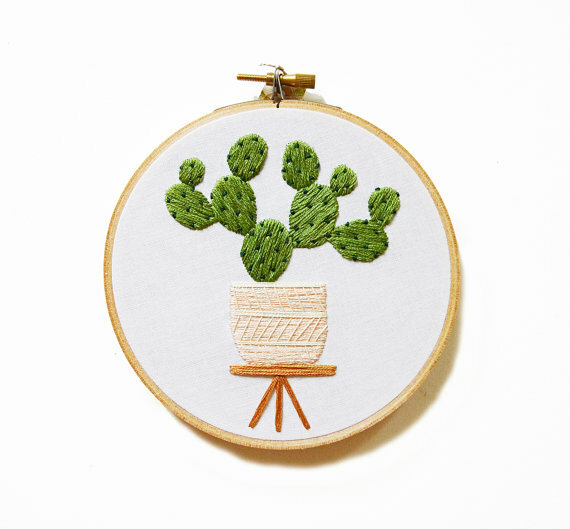 Cacti and succulents always stay chic. They come in endless textures and shades, are easy to care for, and instantly add life to a room. 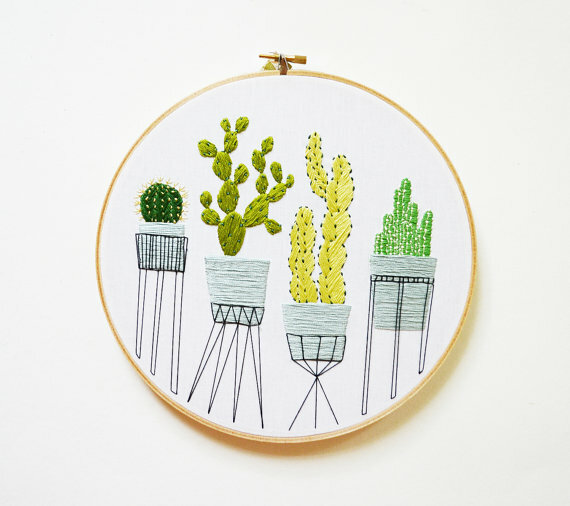 And seeing as they hail from the romanticized desert, these prickly plants have become a symbol of bohemian living and a free-spirited lifestyle. 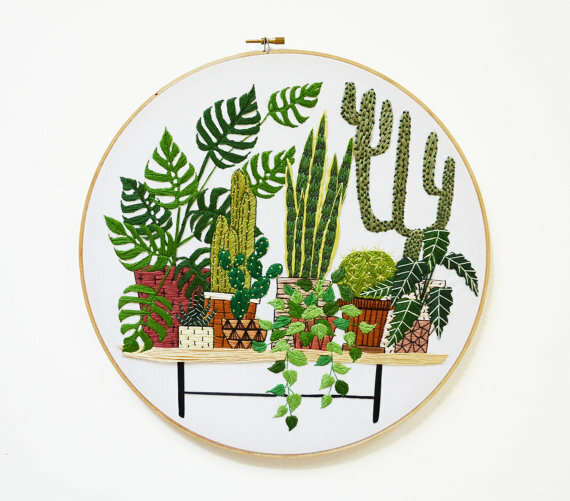 DIYs, crochet patterns, and gorgeous cacti folk art have adorned the pages of design blogs and Etsy shops for a while now, including the work of Sarah K. Benning, whose artwork I found while digging through textile artists on Instagram. 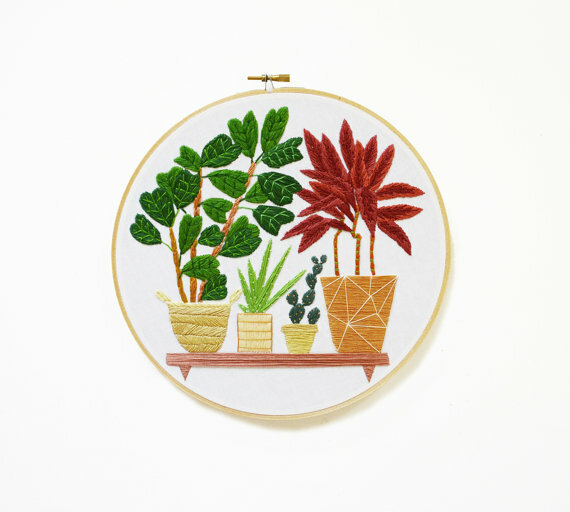 I’m not sure about you all, but if you’ve ever taken up serious embroidering, it takes FOREVER and will leave a few fingers numb.